The fire pit is a warm addition to your outdoor entertainment area! It conjures up such an inviting image: sitting around a cozy fire in your backyard, sipping a favorite drink and enjoying friends and family! There are many different styles of fire pits, using a wide variety of materials as discussed in this article from Houzz. The above image showcases a beautiful fire pit and backyard entertainment area. 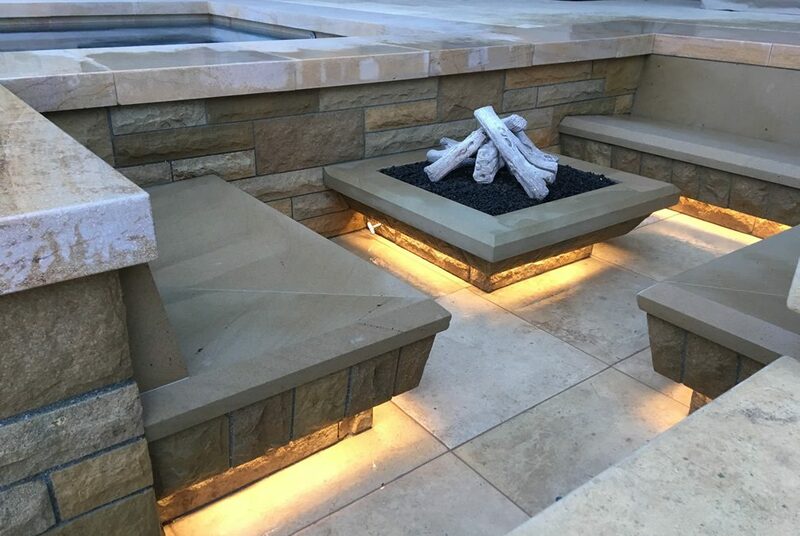 Monarch Stone Int’l supplied the natural stone materials in French limestone and Santa Barbara Sandstone.Fire pit and entertainment areas that include stone, invoke a feeling of warmth and connection with nature. The invitation to come, sit and stay a while, is easily conveyed by the use of natural materials.